According to Cushman & Wakefield, Online Trading Academy Norwalk has relocated to a 4,489 s/f office at 488 Main Ave. Online Trading Academy is a global leader in the financial education industry. Cushman & Wakefield's leasing team led by Steve Baker, executive director; Adam Klimek, director; and Bill Montague, associate director; represented the landlord, Edgewood Capital Advisors. The tenant was represented by Stephanie Coleman, formerly of Cresa Real Estate. "488 Main Ave. is now 90% leased," said Klimek. "I attribute that to Edgewood Capital's responsive and hands-on management approach. Their capital improvement program transformed the property into a unique, boutique office building with the most competitive rents on the Rte. 7/Merritt Pkwy. corridor. When combined with the building's location and high parking ratio, 488 Main Ave. is the value alternative in the class A office market in this area." 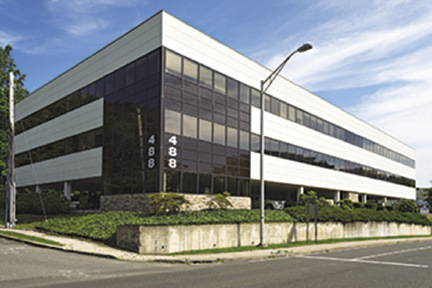 488 Main Ave. is a 36,000 s/f office building located just off the Super 7 Connector in Norwalk. Conveniently situated in the heart of Norwalk's Rte. 7 commercial district, the facility boasts easy access to both the Merritt Pkwy. and I-95.